"Desolation" is a team vs team multiplayer mission. It also has a single player component. Gather resources from the map (loot), get weapons and gain experience to improve your skills and the equipment of your character. Then defeat the enemy side. Survive the desolation. In this mission you will find yourself immersed in a merciless struggle for resources, kill or die. Start by familiarizing yourself with your base and its functions. Get a quad and explore the surroundings for loot. The food, water and tools you find have to be processed at the base before you can use them. 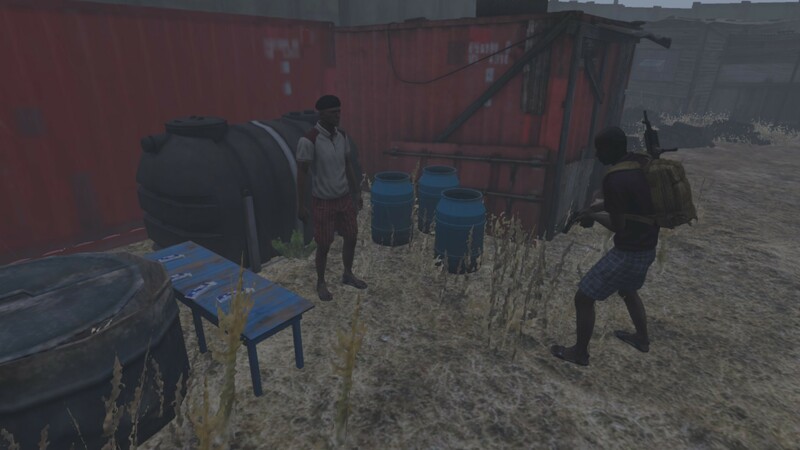 You could, for example, search for tools at a industrial site and then exchange them for a toolkit to repair abandoned vehicles. Remember to load them with fuel from broken vehicles! 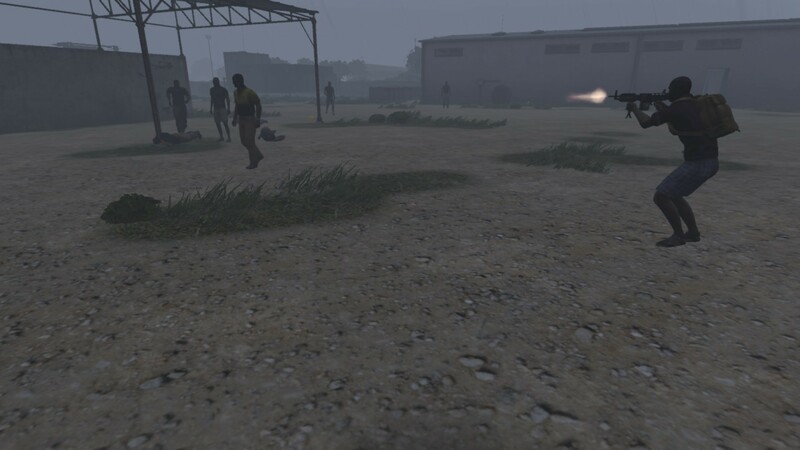 Lastly arm yourself at military zones and attack the enemy team, or join other comrades to assault their base! - Persistent character (playable in any server). - A map full of resources (vehicles, loot, wrecks). 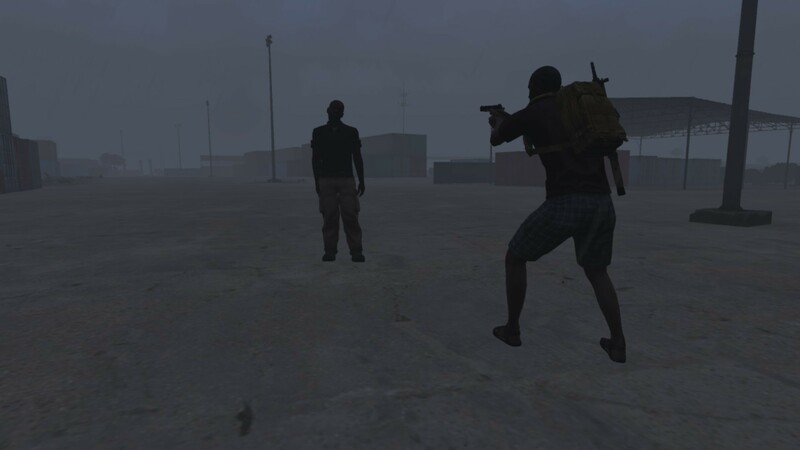 - Apocalypse 9:6 mode (adds Zombies, activated by default and changeable in mission parameters). - Languages: English and Spanish.